Alas, all good things must come to an end. 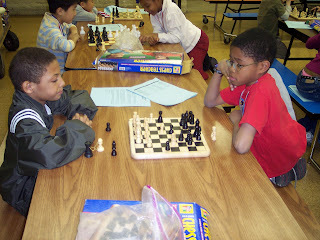 Next Monday, May 14, will be the last regular weekly meeting of the Ray School Chess Club for this school year. We’ve enjoyed having your kids in the club this year, and we’re grateful for having had the chance to work with them. We’re not closing down entirely. As the weather improves and the indoor chess season draws to a close the outdoor season gets under way. We’re going to try meeting outdoors on weekends somewhere in Hyde Park for any kids who are interested. Coach Emil Sidky will have more on this at next Monday’s meeting, and, as always, please come here to the blog and to our main Web site for the latest details. There are also two tournaments in the weeks ahead, on May 19 and June 9, and I know some of you plan to attend those. They’re both in the Hyde Park area, and you can still sign up, so let me know if you’re interested. Oh, yes, and though I neglected to mention it in my last e-mail to parents, we’d also like to have an end-of-year picnic or some other gala event, like the one we did last fall. Please let me know if you’d like to attend or, even better, help to plan it. 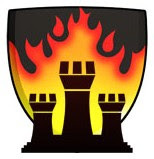 Whether we see you or not in the weeks ahead, have a great summer, play a lot of chess, and if you have any chess-related thoughts, stories, or experiences, please send them to me for publication on our blog. It’s going to need fresh material during those lean summer months. Endgame: Details about the June 9 tournament at the Hyde Park Neighborhood Club are now available. Don't worry about the entry fee; as long as we have some Ray kids playing the chess club will take care of it. But please do let me know if your kid wants to play. 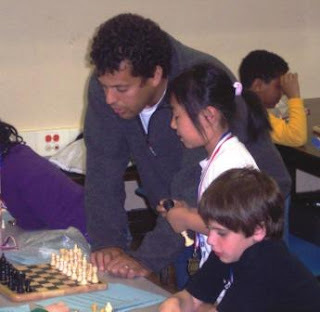 Thanks. . . . IM Angelo Young has updated the Web site of his Touch Move Chess Center with information about forthcoming events. I’m dying to know what the June 16 “Bulls Challenge” is all about. Do you start the tournament down 3-0 to a player from Detroit? Yes, I know, that’s gallows humor and arguably in poor taste under the circumstances. My apologies to any sensitive Bulls fans out there. . . . 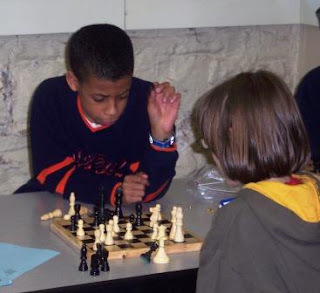 Note: The pictures here are from the Ray School Chess Club’s historical archives. With any luck we'll get some fresh ones at the last meeting.